You look left and you see five or six pretty girls gathered together near the counter. Judging by their outfit they must be the employees. 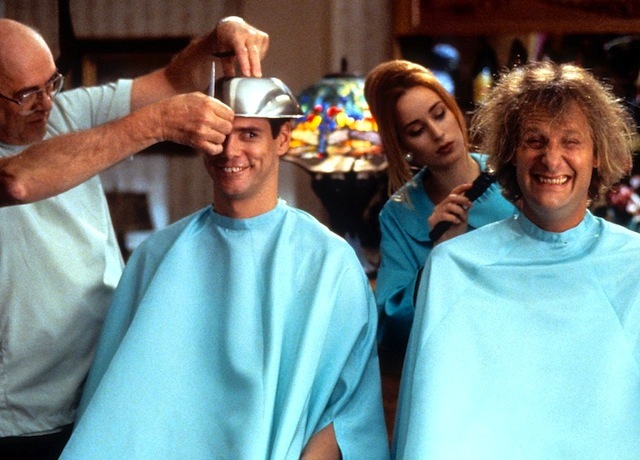 But you really need a haircut as it’s been a while and you don’t want to go back to the previous place, mostly because of Dany who just doesn’t know how to cut the bangs so you end up looking like Jim Carrey from the Dumb and Dumber movie. It didn’t work, so that’s why you are standing inside of the Fairy Tales salon which has 14 five-star reviews on google, pretty rare for the suburban area you live in. And then you remember a small but cozy hair salon in the city, right by the Union Square. You went there for years and Alina would never disappoint. She really enjoyed what she was doing, always friendly and ready to take on your crazy haircut ideas. She looked at her work as a form of art and, by the way, she also painted beautiful pictures with aquarelle. Then one day you call for another appointment and find out that Alina decided to pursue her true passion and abandoned her current profession to become a cop. “How can I help you?” – you hear the voice from one of the girls by the counter and suddenly return back to the reality. 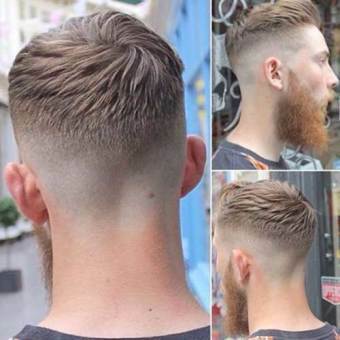 “Hey, just want a regular haircut” – you answer and nervously thinking if you should show her the picture of the hairstyle you have in mind. 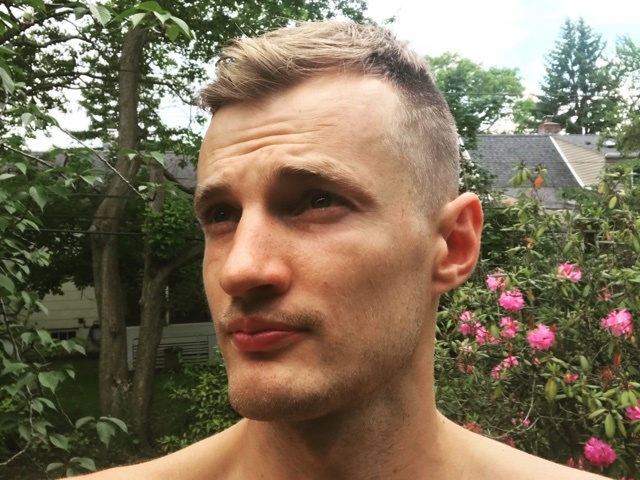 See, you spent about 30 minutes googling “men’s haircuts”, but suddenly feeling unsure if you really should follow through with that haircut idea or stick with the more simple one instead. “No, washed my head today, just the haircut please” – you hear yourself answer and then you notice her wild tattoos on the left arm. Hey, that’s cool, judging by the look she should definitely be able to pull off that new hairstyle picture you had on your iPhone! You seat down in front of the huge floor to ceiling mirror and thinking “hey, so far so good”. “What’s the size you usually have for the sides?” – she continues. “Yep, short sides like that, keep more hairs on the top. Something like that doesn’t need to be exact, but that’s the idea” – you answer a bit nervously, hoping other girls back at the counter wouldn’t hear. “He will do it for you” – she answers, pointing at the owner, the only busy person at the salon. “Yep, I’ll do that. Just give me another 5 minutes.” – the owner confirms. So there you sit and wait, in the empty salon with six other hair stylists and no one is willing to step up and do the job. Long story short, that was a true story that happened to me yesterday, when I decided to get a fresh summer haircut at one of the hair salons not far from my house. Yes, the owner (who is about 50 years old) did the job in about 15 minutes or so. You will be the judge to whether it looks like the original picture, but I applaud his courage. He was calm and made me feel relaxed. As for my question about the situation with six other stylists and their inability to step out and face the unknown he just rolled his eyes and quietly told me “I know… that’s the thing with the people these days and it’s kind of scary, to be honest”. There is no growth in the comfort zone. That’s one of the most important principles that drives all my decisions. It helped me to get where I am today and to become a better version of myself. Every time you challenge yourself to do something you never did before you move one step closer to unleashing your full potential. More importantly, you open doors to the new opportunities. Some people are so locked down in their own little worlds, that even simplest changes throw them off balance. They are afraid of failure or possibility to look stupid in the eyes of others and rarely cross known boundaries. In their minds, everything is predefined from the moment of birth and there are lots of natural limits as to what’s possible and achievable. They hide behind material flashy things, desperately trying to show to the world (but more importantly to themselves) that everything is going awesome. Let’s call them “fixed mindset” people. Now, there are others who believe that everything is possible and nothing is set in stone. They operate in the “growth mindset” mode, which manifests as relentless desire to learn and explore, ability to fail and take criticism, enthusiasm, craving to challenge the status quo, longing for greatness and achieving something that never been done before. Here is the thing, when it comes to humans, nothing is either truly black or white. There are lots of “shades” or variations. At different times in our lives, we switch between fixed and growth mindset. It’s a never-ending battle. The goal is to be aware of your mind and lure it into “growth” mode whenever possible. Remember it the next time you hear a contradicting point of view. Let it sink in for a while before you start arguing and defending your position. Take on new challenges, learn from your mistakes, grow as a person and as a leader, make a difference in this world. That’s my path to genuine happiness and freedom and I recommend you to follow along. Previous Previous post: Model what works or… Don’t. Next Next post: What’s your one thing?